25 bartenders, selected from across London, have been mixing and shaking to be crowned winner of the Galvin Cup 2016, hosted by UKBG. The event at Hush in Mayfair, on June 20th 2016, was sponsored by Amaro Montenegro and saw the finalists experiment with other ingredients from the Catalyst Brands portfolio. 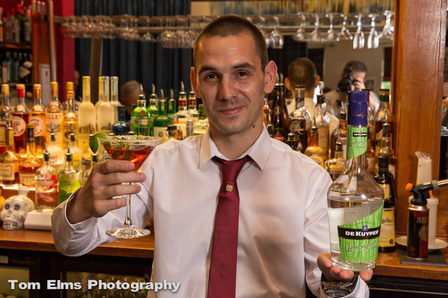 Rudi Carraro, the new Amaro Montenegro Brand Ambassador the UK, was delighted with the number of new faces taking part in the competition and was impressed with the quality and standards of each drink. 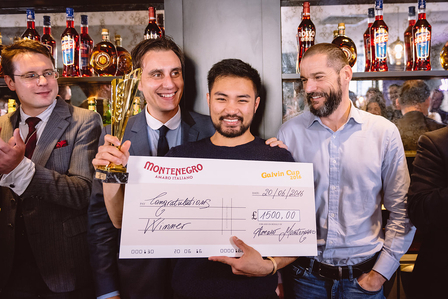 Peter Nguyen from Mr Foggs Residence was crowned the winner. The UKBG held their annual Calvados Nouvelle Trophies Competition on Monday 15th February, the 950 anniversary of the battle of Hastings. 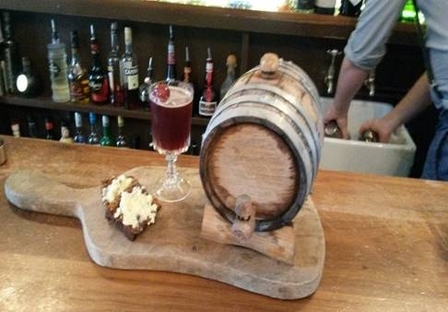 Competitors were asked to consider "What Calvados cocktail would William the conquerer drink to celebrate his victory at the battle of Hastings?". The competition was held at 68&Boston and sponsored by Cellar Trends with Boulard Calvados and Emporia Brands with Pere Magloire. We had 18 competitors, the standard of drinks was amazing and many were quite comparable with the professionals. The tasting Judges, Armand Fasola from the UKBG, Gavin McGowan-Madoo from Emporia Brands, Paul Curry from William Grant, the Technical judges, Miss Lucia Montanelli, last years professional winner and the UKBG National Champion 2015, who will represent the UKBG in Tokyo this October,we also had Mr Jim Slavin UKBG administrator. They all said that the standards were very high especially the students who showed a great deal of potential talent, considering they only had four weeks to create and practice their drink. The winners from both the Student and professional section will represent the UKBG in Caen Normandy at the Calvados Nouvelle Trophies International competition on March 20th/21st, They will have a tour around a Calvados Distillery, a talk on calvados, then a short exam to show what they have learnt about Calvados. On the following day they will have the Cocktail competition competing against eleven other countries. The student representing the UKBG will be, from The Brokenhurst College, Miss Supatthra Viriphan. 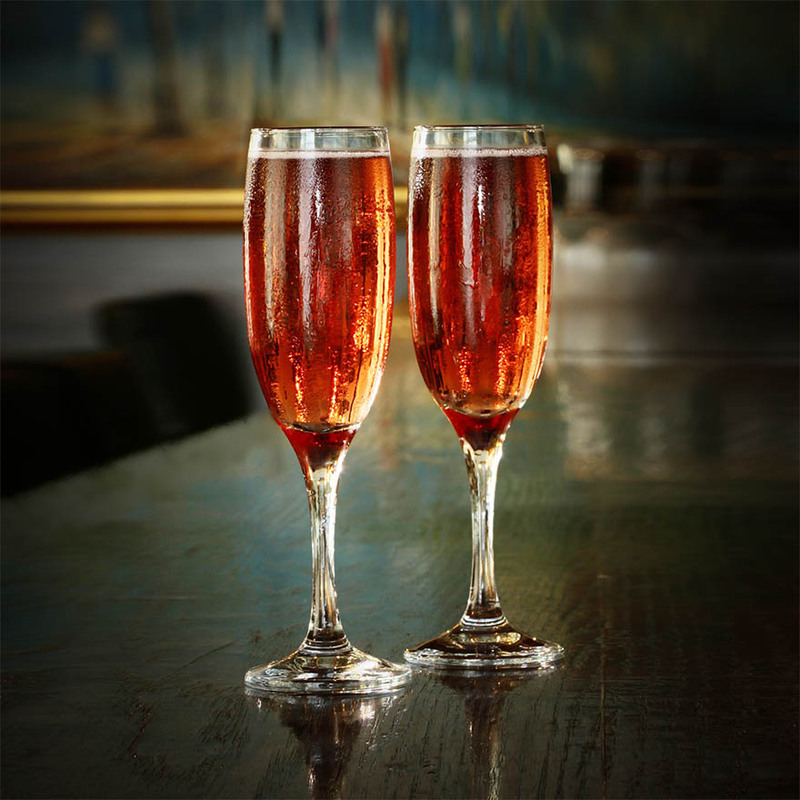 The name of her cocktail was called, "Conquerors Kiss". Garnish red currants and macaroons on side. Second place went to, Lorraine Ncube, from University West London. with her cocktail "Seniac Sunrise". Third place went to, Charlotte Brown from Westminster Kingsway College with her cocktail "Blood Apple". From the professionals section, the winner was Enea Brutti from The Bank restaurant, Zander Bar, Buckingham Gate, London. The name of his Cocktail was called "Half Brother". Garnish, Ice cube with tea and nutmeg inside cube. Second place went to, Salvatore Maggio, from the Polo bar at the Westbury Hotel, London, with his cocktail "Berri of Paradise". 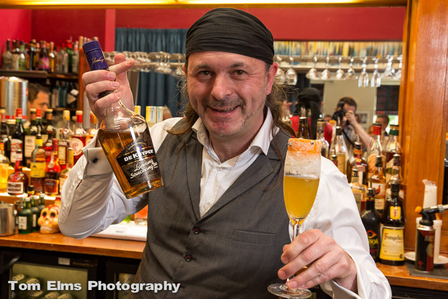 Third place went to, Maurizio Laudato from Chewton Glen Hotel, Hampshire, with his cocktail "Love Calvados". It was a great had by all, a good group of supporters also came along to give support to their friends. A large and enthusiastic crowd had the pleasure to take part in this buzzing event, hosted by James Edis and his1812 Bar crew at the Royal Exeter Hotel Bournemouth. 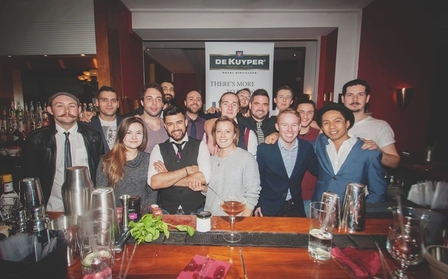 The 20 competitors battled with the very challenging Weird Mystery box,sponsored by De Kuyper liqueurs. Each of them had an individual box, containing herbs, fresh fruits,unusual stock,marmalades and chocolates, very meticulous choice of ingredients,including unthinkable products like Marmite or Gentleman relish, Mayonaise and Peanut butter. Francesco Oglialoro from Bottle Consulting Ltd.
"This original concept of competition attracts more bartenders every year,and it is credit to our Southern area members and friends to make it possible. Bournemouth is begging to be recognised as a Bar national destination thanks to its Bar community"
"The weird Mystery Box is improving every year in the quality of drinks and competitors, showing the ability and understanding of flavors by our bartenders, a great catch up and build up to our forthcoming Nectar Road show and UKBG open day in few weeks time. It is all exciting..."
Kevin Thomas our So flair and Grand Prix MC. Once we selected 10 bartenders we introduced the brief for the Bournemouth Bartenders Grand Prix 2015.Where they will again be challenged with the "Market challenge" where they have a spirit which they will be representing plus they will have 15 minutes to go around the show and collect a further selection of products to go with their spirit. The Grand Prix labels generously offer by our brand owners are : Casamigo Tequila: Cinzano 1757: Remy Martin 1738 : Conker Dorset Dry Gin: Jinzu: Tarquin Gin: Evan Williams extra aged and Three Barrels Brandy. a bar spoon of Tea Naked Jam. In Second Place Tommo Quy from the Captains Club Hotel in Christchurch he will team up with Jinzu Gin. 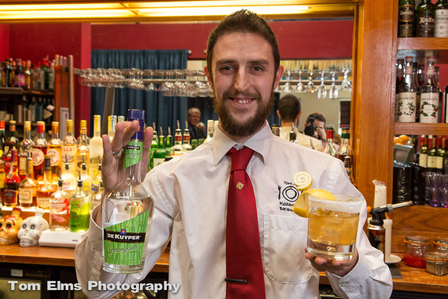 In Third place was Cameron Moncaster from the Library in Southbourne competing for Conker Dorset Dry Gin. Andy Hardwick competing for Evan Williams extra aged; Gemma Terry competing also for Evan Williams extra aged;Dave Hall competing for Flor de cana 4yo ;Luke Sheppard competing for 3 barrels Brand;Joe Prout competing for Tarquin Gin;Johnny Brissenden competing for Casamigo Tequila Blanco;Sarah Owens competing for Cinzano 1757. Our 10 finalists, Nectar Imports and UKBG will welcome you next 26th of November 2015 in Bar So Royal Exeter Hotel for the best Southern Bar Trade show of the Year . 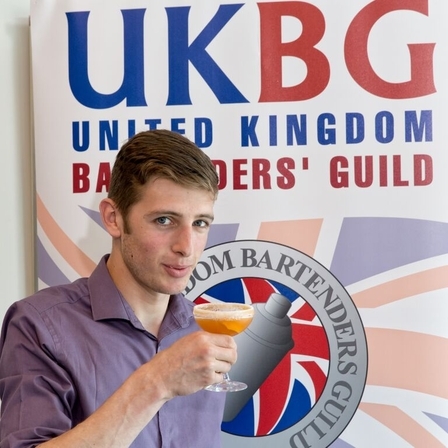 This year will be the 4th time in 10 years that a barperson from the Dorchester has scooped the prize of UKBG National Champion and will represent the UKBG in Tokyo next year. Lucia won with her cocktail " Orange Pekoe "
Garnish, Orange twist & sugar rim. In second place a young man from the Coq d A'rgent Restaurant @ One Poultry, Daniel Stepien with his cocktail "Green Hope" this was his 3rd Competition in London. Garnish, Lemongrass, Green tea, Amaranth, Lemon. In third place another newcomer to the London Scene, from the Bank Restaurant, Buckingham gate, Mr Charley Gery, with his cocktail, " Breakfast at Caracas "
Garnish, Sugar rim with Cinnamon syrup, one stick of frozen orange peel,( looks like a cigar) small Chilli on rim. Our grateful thanks to our Sponsors Paul Curry from William Grant and Sons, to Pedro Solorzana, Bar Manager of Hush Bar for hosting the event, to all the Competitors and Judges also our Very good Photographer Tom Elms. Peter Dorelli, Pedro Paulo, Maciej Urbanski, Boris Ivan, Annie Hayes, Tiago Mira, Walter Pintus, Su-Lin Ong. We wish Lucia all the very best for her forthcoming challenge in the IBA World championships in Tokyo next year, She was also the winner of the UK Calvados competition in Winchester earlier this year. UKBG open day & So Flair 2015 by Nectar imports. Well here we go again and I couldn't be more excited! Since, being part of the team that established So Flair some 7 years ago, I have had so much fun presenting some of the World's best Flair Bartenders onto centre stage at Bar So in Bournemouth. Renowned as one of south coasts most coveted Bars, Bar So and 1812 are reputed as THE place to be.With award winning Mixologists, huge names in music industry and located in Bournemouth, the UK's playground, the venue provides the perfect setting for this huge event. As the competition has grown in notoriety over the years, attracting large crowds, the event has seen the inclusion of the UKBG offering mixology competitions to the top barmen in the field set amongst a fantastic Open Day offering a chance to sample the latest products on the market and rub shoulders with the experts in the industry. As the competition has grown in notoriety over the years, attracting large crowds, for the last 5 years the event has seen the inclusion of the UKBG offering mixology competitions to the top barmen in the field set amongst a fantastic Open Day offering a chance to sample the latest products on the market and rub shoulders with the experts in the industry.The UKBG are great to work with as there is always something going on.The calibre of bartenders involved in the group just keeps setting the bar higher and higher. Competing regularly, these guys are the top in their field and never fail to impress with their innovative and creative concoctions as they endeavour to impress some of the biggest brands around. One of the highlights is certainly the UKBG Mystery Box competition held early November, in advance of the UKBG Bournemouth Bartenders' Grand Prix (Market challenge) and So Flair on the 26th of November 2015 where the Barmen talents are truly tested as they pick mystery items to use for their creations set in a quick fire competition. I simply love presenting these events. The UKBG Open Day and So Flair I have everything an MC thrives on....a fantastic setting, a HUGE array of talent, both in mixology and flair and a crowd that in history has proved itself to be loud and proud! Since presenting the very first show,I have witnessed it grow and evolve, each year getting bigger and better, attracting more significant players in the industry year on year and cant wait to get involved again this November. It's a time where people descend to Bournemouth with a common love for the industry and it shows.Old friends reunite, new friendships are made and anecdotes exchanged, the atmosphere is fun and friendly and the talent on display is that of International accolade drawing World Champions and National Champions alike. Its not everyday you get to present an event that brings some of the world best! I can't wait to see the biggest names of 2015! For me, having worked for the BBC, produced theatrical shows in big theatres as well as running the entertainment department on board luxury Cruise Ships, this show still gives me goose bumps! I can't wait to see what this year has in store. 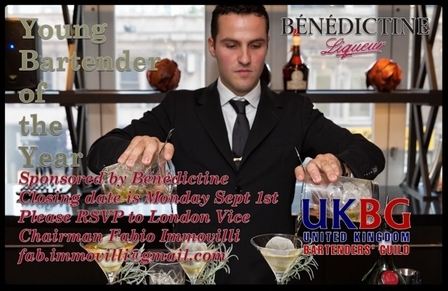 The UKBG is delighted to announce its annual competition for young bartenders sponsored by Bénédictine. 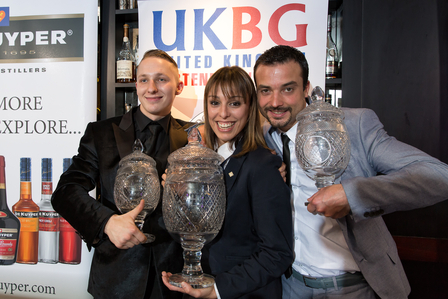 The competition is open to all bartenders in the UK as long as they are under the age of 26 by 30th April 2016. It will be held over 2 heats, in the North at Toms 101 Restaurant, Warrington, Lancashire and in the South at The Whistling Shop, Worship Street, London. The final will be in London. 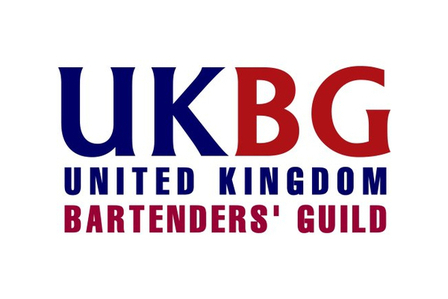 "We are excited about this competition as it will give a chance to young bartenders to test and improve their skills and the opportunity to the winner to attend an internationally recognised course" said Luca Cordiglieri, President for the UKBG. We know that the Galvin Cup is always an exciting and busy competition, but this year our winner made it even more special. Daniel Stephan, a young bartender, arrived in the UK from Poland just under one year ago. Thanks to a bit of luck and some directions from a friend, he met both Pawel Rolka and Sebastian Kasyna whom opened up their doors and welcomed him as a new employee as Bar Back. After 5 months Daniel had been promoted to Junior Bartender. 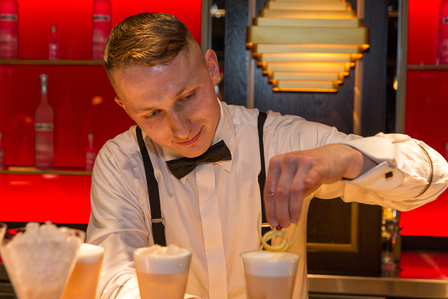 Just two months later, he stepped up to the role of Bartender, and in this role, thanks to his skilful trainers, he has approached the fun side of the competitions. With Mike Sweetman, we visited their bar not long ago, and as all bartenders know, guests always comes while you are having a break... but Daniel doesn't seem to be bothered that much and comes back to the bar and starts mixing some great Negronis for us! We then move along the beautiful terrace of the Coq d' Argent, where I asked Daniel if he ever worked as a bartender and we delved into an interesting chat..."No I have done the Catering School. I was practicing as waiter, back home, and a colleague of mine showed me a bit of bartending. I found it very fascinating, and couple of years ago, I decided to take a bartending course." What brought you to London? 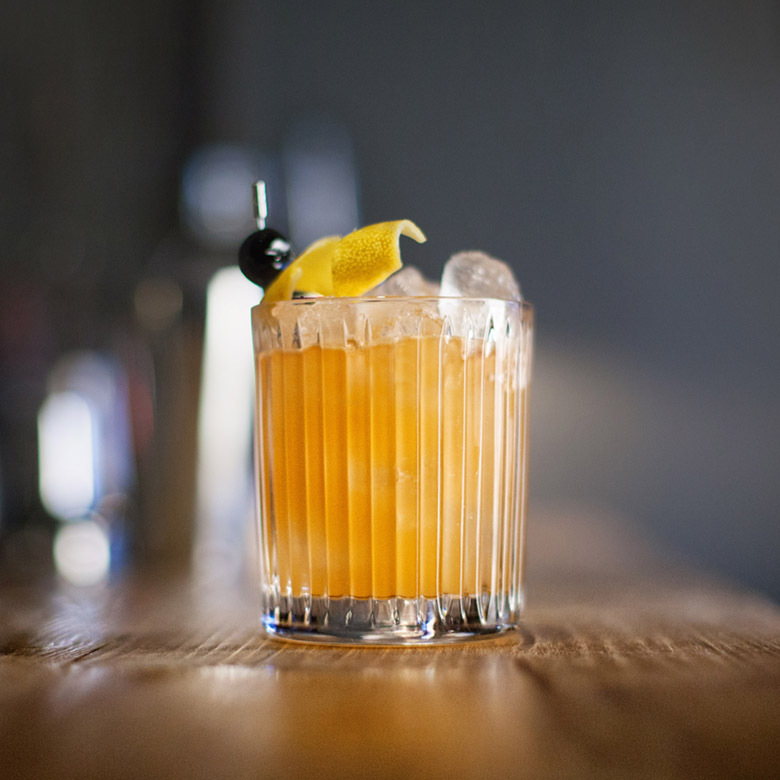 "I come from a very small town, we are more or less 3000 people, and we have no bars where I can learn and practice; therefore, I decided to move to London, the capital of cocktails, looking for a better future and greater opportunities!" ...Where you met Pawel and Sebastian...?! "Yes, I was looking for work, and I had a bit of luck, my friend mentioned to me that it was a bar back position open here at the Coq d' Argent... I gave it a try and here I am!" Where has your inspiration for your winning drinks comes from? "I love breakdance. It is a little bit crazy as often I hit the streets, meet friends, dance and every time it gives different feelings and inspires me with my cocktails as well. It is a mix of passion that I have and I believe that gave me the strength to face my first competition, which is why I called my cocktail First Step. Competitions are another passion that complements the other two, and I am lucky that I have two good teachers as well!" 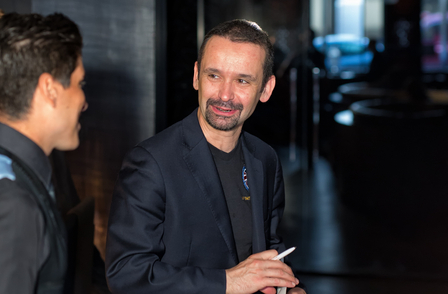 So who encouraged you to enter the Galvin Cup 15, Pawel or Sebastian? "Sebastian! He guided me on the first approach to the rules and my drink, but then he went on holiday, so Pawel had to deal with me! Pawel thought it was too early for me enter the Galvin Cup, I looked the past competitors on YouTube and I was quite scared as well, as the level of the competition is very high! Pawel has been quite patient with me and has taught me how to keep calm and how to use all the tools in the correct manner" I heard on the Friday night before the competition that Pawel kept you shaking behind the bar for quite a while... "Yes, he wouldn't let me stop until I got it right..."
How long did you work on your drinks before sending the entry form? "Hmm... maybe a month? I usually work double shifts and in my spare time, I was going home and working on my drink, people thought I was going out drinking at night... but I was just practicing!!! 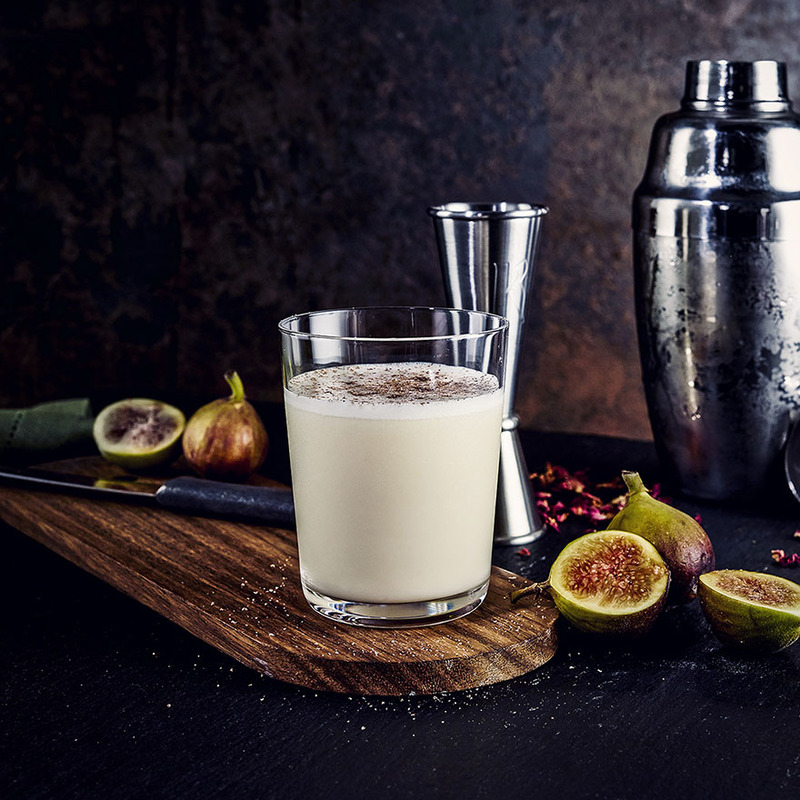 Honestly, I did not expect to go through to the shake off; in fact, I did not have any chocolate to pair with my drink, but when I saw the agave nectar, the lemon and rosemary I thought I could do something interesting with it!" So what do you think of the Sponsor, do you like Babicka? " Personally, it is not one of my favourites, but being objective I think is a very good vodka." How do you see yourself in five years? "I came to London for a reason, I am on a mission, who knows; I might stay here 10 or 15 years and become bar manager and I might one day teach beginners and pass on my passion and knowledge!" 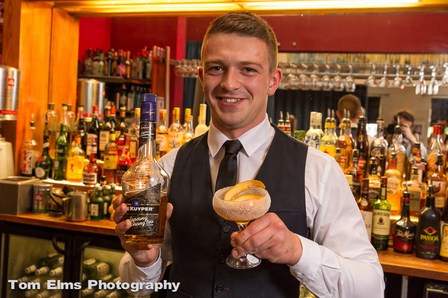 So what would you suggest to bartenders to encourage them to enter their first competition? " A message for the Ladies and Gentlemen, don't stress and don't panic! Take it easy, as it is just a competition where you should have fun and not pretend to be the winner. It is an opportunity to meet people and learn as well! Believe in yourself, believe in God and think about your family! With the money I won, I bought some bar tools for myself and gave the remaining part of my prize to my mum!" What does the UKBG Represent for you? "It is a great organization, nice events with a big group of people where it constantly makes me meet different people and I feel surrounded by knowledgeable trade individuals where I can learn a lot! 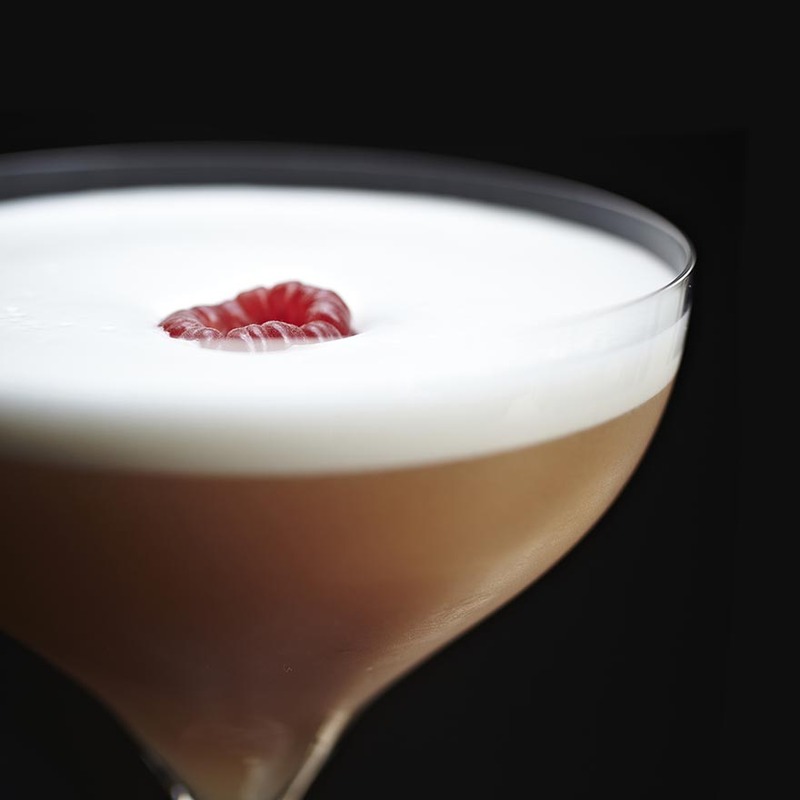 London is the capital of the cocktails, and the UKBG is the oldest Bartenders Association in the country. I am very proud to be part of it!" The Captains Club Hotel & Spa in Christchurch was once again the chosen venue for this exciting event which attracted bartenders not only from the area but also from London, Bath, Oxford and other spots further afield. Paul Curry from the sponsors, drinks writer Dave Marsland, Jennifer Williams from Naked Jam and Kerry Witt, local artisan chocolate maker from Miss Witt Chocolate. They were aided and abetted by technical judges Mike Sweetman, Vice President of the UKBG and Claudia Carozzi, well known London bartender. The brief for the competition was to make a "Crusta with a Twist", using products from the exciting De Kuyper range of liqueurs, the winners to go forward to the finals in London in October with the possibility of representing the UK at the world finals in Tokyo in 2016. It was good to see so many familiar faces present, Orlando Garcia now resident once more at The Royal Crescent Hotel in Bath, Michael Ragoos from The Ivy Market & Grill in London, Marco Brivio and Salvatore Maggio both great supporters of events in the area. After an afternoon of great cocktail making, showing wonderful inventiveness and ingenuity the winner was local bartender Tommy Quy from the Captains Club Hotel with his "Southern Hospitality" with 20 mls of De Kuyper Apricot Brandy, 40 mls Summerset Cider Brandy, 15 mls fresh lemon juice, 3 dashes chocolate bitters, 5mls Naked Jam 'Apricot' all finished off in a sugar rimmed glass and a citrus twist. for his hospitality and support. With grateful thanks the UKBG was invited onto the Fentimans stand to be at Imbibe this year. The stand was to promote Fentimans Botanically brewed drinks, and to bring awareness of the UKBG to the new young, upcoming bartenders of today. During the two days of the show the UKBG organised a line up of some very talented members of the Guild creating cocktails with Fentimans products and numerous spirits like Snow Queen Vodka, V11 Hills Gin, Dictador Rum, Hendricks Gin and many many more. We had the pleasure of having the adorable Mr Peter Dorelli, performing his magic behind the bar then Mr Fabio Immovilli, Bar Manager @ The Red Bar Grosvenor Hotel, Mr Plinio Veloso, Bar Manager at The Milestone Hotel, Mr Pedro Paulo Bar Supervisor at the Coburg bar The Connaught Hotel, Mr Frederick Holt from Mahiki Bar, Mr Filippo Previero from Cahoots Bar, and Mike Sweetman Vice President UKBG. It was a fantastic two days, the cocktails were very well received and everyone had a very enjoyable time making them. A special thank you to all the guys for helping to share the love of Fentimans and UKBG and to Pete Garraway from Fentimans for setting it all up. A big thank you to all the Directors of Fentimans for trusting and believing in us to present their products in this way. 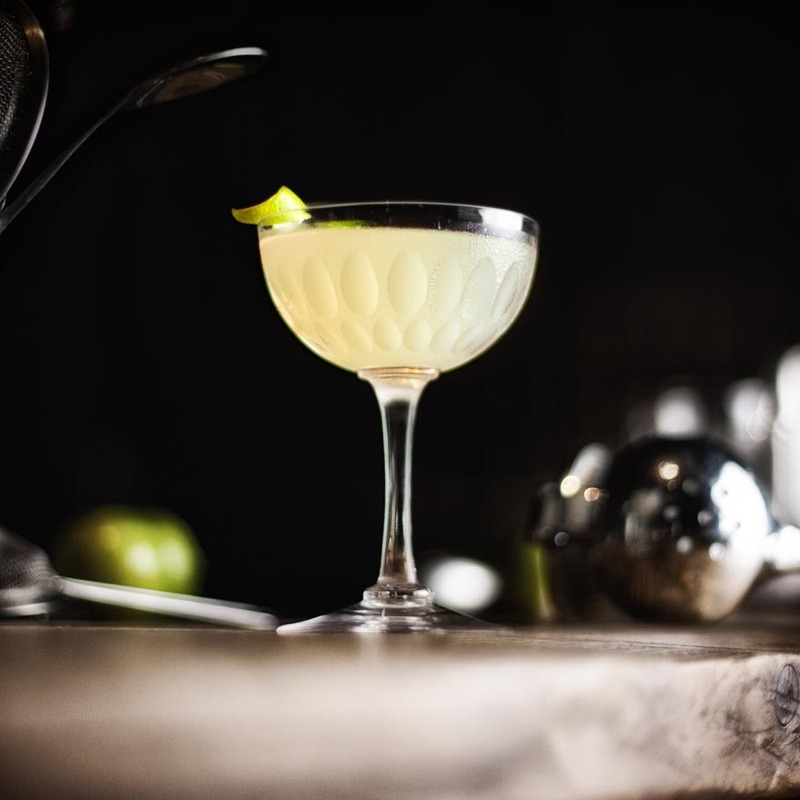 The town of Warrington in Lancashire was the spot chosen for the first heat in the long journey to Tokyo, Japan for the World Cocktail Competition in 2016. Mr Tom Rogers provided his lovely restaurant "Tom @101" (London Road) as the venue and with manager and Guild member Rob Bamford present to assist Area Chairman John Farrell and his committee things were set for a great competition. Competitors were asked to provide a Crusta Cocktail with a 'twist' and our friends at William Grant & Sons used the event to showcase the latest additions to their De Kuyper Liqueurs portfolio, providing Lemongrass, Chilli, Passion Fruit and Lapsang Souchon flavours to test the bartenders skills and creativeness. Mr Farrell had chosen as his panel of judges Gillian and Peter Wood, owners of the famous gastropub, The Lowes Arms in Denton, Manchester, Mrs Pat Hopwood, long time Guild member in the North of England and Ms.Elin B. Britt well known food and wine blogger. Lots were drawn for the running order and with Les Fry of the Voodoo Café, Latin American Restaurant in Darlington, making his invention "Curst of a Wave" the game was on. 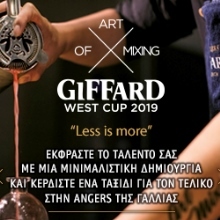 With most of the bartenders having competed in previous competitions they were all aware of the presence of the efficiency judge and standards were exceptional with great attention paid to garnishes and crusting of glasses. After a long afternoon and some very exciting drinks it was time for the judges to put everyone out of their misery and announce the winners a task allotted to Peter Wood, Chairman of the panel. First place went to Plamen (Paul) Pitropski of "Tom @101" with Poppers. Jake Beaverstock of "Voodoo" was judged the best performer in the efficiency and will also travel to the final. Our thanks go to all the competitors most of whom travelled long distances to take part, the judges for their work, to Tom Rogers for his generosity in providing the venue and to Rob Bamford for his assistance during the whole event but sadly missed, by a very narrow margin, a place in the finals. 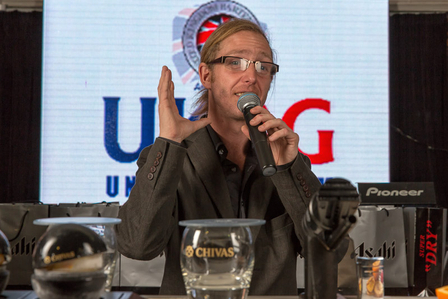 Our particular thanks go Mr Paul Curry of William Grant & Sons who made the whole event possible. 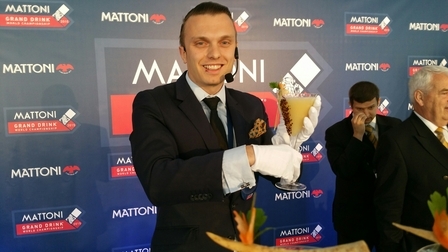 Thanks to his second place at last year national Sebastian Kasyna from the Coq D'Argent, went to represent the UKBG at The Mattoni Grand Drink, an international Competition in its 18th year. Below is a little report of his experience. Mattoni is an unknown water in the UK, but it is extremely popular in the Czech Republic and Eastern Europe. A great competition was organised by the IBA in Prague of non-alcoholic cocktails, with a main prize of $10,000, with 22 bartenders competing from around the world. The rules were to use a minimum of 10cl of still or sparkling water, with a maximum of 2cl of sugar and no more than 50kcal/10cl in the cocktail. Once this has been mixed, shake well and garnish with hibiscus tea on the glass, along with a baby parsnip, bison grass, parsley, and a butterfly cut from a carrot. I'm extremely happy with my performance and I made no technical mistakes. Everyone was impressed with the taste, but my final position was 8th, with a little disappointment from being so close to the final 6. The first place went to Austria, second place went to Poland, and third place went to Luxembourg. It was a great experience held with a fantastic organisation. 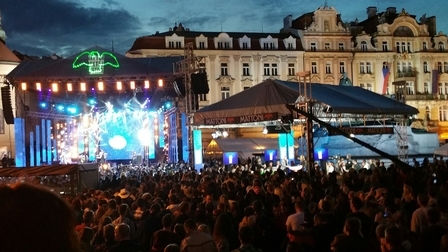 The competition was held in Main Square in Prague and the final 6 made their cocktails in front of a few thousand people, along with being shown on live TV. I truly can't wait until I'm able to do that again. The Galvin cup competition in its eight year was held this year at the prestigious Quaglinos Restaurant /Bar in Bury St, Mayfair, it was an amazing venue which was hosted by the Operations Manager Mr Milos Popovic. This year we had an amazing 28 competitors from all over London and from as far afield as Bournemouth. The sponsor for this year was Mr Alex Clark from Babicka Vodka, it was organised jointly between Mr Fred Siriex From Galvin Windows and Mr Luca Cordiglieri, President of the UKBG along with his team from the UKBG. There were some very interesting cocktails coming from the contestants, their brief was to make a signature cocktail and then make one of their own design, and oh boy did we get some great creations. The judges really had their work cut out for them. We had judges from all over, there was Mr Boris Ivan from Galvin Windows, Salim Khoury former head barman at the Savoy American Bar, Milos Popovic, from Quaglinos, Tom Arnold all the way from the Hotel Du Vin Cambridge, Danilo Tersini from Mr Foggs, Adam Laham Head Bartender at Scarfes Bar, High Holborn, last year's winner. Facundo Gallegos Head Bartender, The Bar at the Dorchester Hotel, Paloma Alos from Difford's Guide to name but a few along with other great names. The Technical judges were Mr Armand Fasola, past UKBG Chairman, Miss Claudia Carrozzi, UKBG Journalist, Mr Salvatore Damiano, Southern area Chairman. As always it was a great event with the Legend Mr Nigel Barden, Food Critic and Journalist, being the ever charismatic MC along with Mr Julian de Feral of The Gorgeous Group. The final six were selected by the judges, now they have to face the shake off judges who were Mr Alex Clark owner of Babicka Vodka, Mr Fred Siriex from Galvin Windows & Luca Cordigliere President of the UKBG. The top six were, John Burns (Arch Bar Intercontinental Hotel), Oscar Carletti, (China Tang), Michal Buben (Wright Brothers), Walter Neuga (Red Bar Grosvenor House Hotel), Gianfranco Cacciola, (Four Seasons Hotel), Daniel Stepien (Coq d`Argent). The final six were given a mystery box with lots of different ingredients and they had to come up with a cocktail on the spot. The bartenders from the south coast challenge their skills with Glenfiddich! The active UKBG Southern Area is reaching every corner of the South west coast with high commitment and passion from our members. A fantastic event was hosted by Lloyd Brown, Bar Manager from the Venner bar in Bridport, in the sunny south coast of Dorset and sponsored by Glenfiddich 15th year old single malt, aged in solera. The event was attended by some of our UKBG Southern Area members and some from the Meridian Bartenders League who met at the Venner Bar on the 19th of May. In the afternoon, Timothy Foster, representative from William Grant & Sons gave an excellent presentation about the family history, the story behind the brand that created the modern day single malt category; the highlights included the top standard from all over the south and a selection of great whiskys (starting from 15yo and 18yo to the 21 yo and even a taste of the 26yo). After this premium single malt whisky session our competitors compared and challenged their skills, they then had five minutes to create a serve using at least 40ml of the Glenfiddich 15yo solera Vat, with the goal to implement more flavour using ingredients such as Port, Sherry, Madeira, Marsala or anything where time and ageing in the Solera System is involved. Dave Hall from Urban Beach in Bournemouth who was the Bournemouth Best Bartender 2014, took first prize another trophy for this year, with his creation "Christmas at the Grants". In second place was Andy Hardwick from the Boathouse in Christchurch and joint third was Tommo Quy from Captains Club Hotel and Lloyd Brown from Vennar bar. 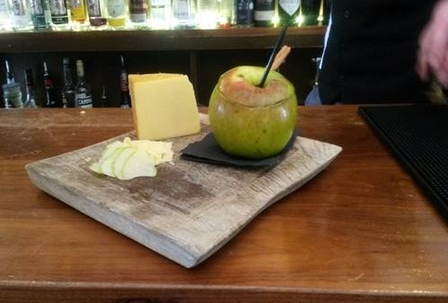 One more winner was chosen by the sponsor, which was Andy Hardwick from the Boathouse in Christchurch - this was his very first competition and he impressed our judge with his drink in a hollowed out Bramley apple with a side of smoked cheese. I would like to take this opportunity to thank Lloyd Brown for hosting this fantastic event in his bar, to all our friends and members that made it happen. 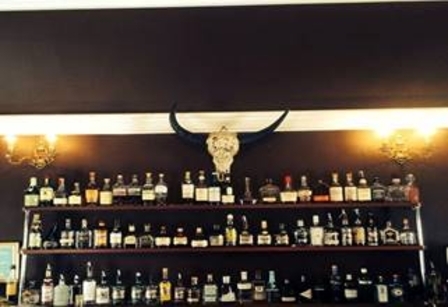 I look forward to seeing you all on July 22nd at the Southern regional heat for National Cocktail Competition 2015 in the beautiful Christchurch at the Captains Club Hotel. Severed from a small solera barrel & fruit cake with Glenfiddich butter. Muddled, shaken then severed in an apple. The Absinthe Masterclass was held at the Railway Telegraph on Wednesday 29th April, Hosted by Lady Lauren Shanahan-Smith. It was a great success as there were a group of 20 or so guests. Jenny Gardener from Sip or Mix introduced Mr Ted Breaux owner of Jade Liqueurs producers of some very fine Absinthe's. Ted gave a talk on the history and myths of Absinthe through the ages and how he fought the authorities to prove that this fine liqueur was no more dangerous than any other spirit like Vodka, Gin, or Tequila and many more, he has his distillery in the Loire Valley at the "Combiere Liqueur Distillery" where he has got 10 pot stills 2 of which can produce 1,000 litres and eight that produce 725 litres. During Ted's presentation Jenny Gardener handed around a selection of the Absinthe samples which Ted produce's, we also had the pleasure of Maya & Francis Weier with their range of Absinthe from Distillnation. This was followed by a talk about the cocktails that Absinthe were part of the recipe by Mr Alan Moss who has been in the drinks trade for many years and is now the Global Brand Ambassador for La Clandestine Absinthe, Alan spoke about the Classic Sazerac, the Corpse Reviver, Mr Funk ,& the Absinthe style Caipirinha, these were all made by the resident bartender Pete. Some snacks were served which contained Absinthe in the recipe, Onion Bargees, Brie deep fried in breadcrumbs, and some Chocolate truffles, all very tasty and delightful, all were produced by the resident chef. The evening rounded up with a little cocktail competition for those who wanted to try their hand at making a Sazerac, we had three couples and two single guys, they were given the recipe and instructions on how to make it, The Judges for this little competition were Mr Ted Breaux, Mr Alan Moss, and myself from the UKBG. The winners were Felicity & Neal Walker with their "Sazerac Walker" which was quite aptly named, their prize was a Absinthe Fountain donated by Lady Lauren Shanahan-Smith Manager of the Railway Telegraph Tavern. Second place went to another couple who were Alex Wolcott & Fleur Hallett, with their "Sazerac on the hill "
Considering they were not bartenders they done a very good job at making their cocktails.The night finished off by launching the new bar The Signal Box , which is a new concept bar. 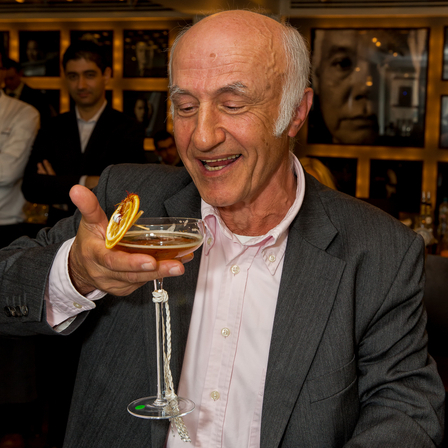 Two years ago I met Mr Salim Khoury former Head bartender at the Savoy Hotel, and good friend of the Guild, always supporting our events and often helping us with his superb judging skills! Since then I have been very curious about his successful career and when I asked him if he would be happy to share it with us... Salim, with his usual smile, said he would be happy to do so. What inspired you to become a bartender? Humphrey Bogart in the film "Casablanca" inspired me to work behind the bar. In the 1960s Beirut was the Switzerland of the east and there were many very beautiful hotels and bars in those days and I was fortunate to find a job in the cocktail bar of the famous Hotel Bristol. Can you share your best experience behind the bar? My best experience was in 2003 when Sir Paul McCartney rang the management of The Savoy Hotel inquiring whether Salim was on duty that evening in The American Bar because he wanted bring his future wife Heather Mills who liked my cocktails. In one of my article I wrote about the WW II and the impact that it had on bartenders, do you have any memories to share with us related to that time? One evening The American Bar was full and we were told by the police to evacuate the building, staff and clients immediately. Unfortunately many clients who had outstanding bills for expensive wines and champagnes did not return to settle up when the all clear was sounded. 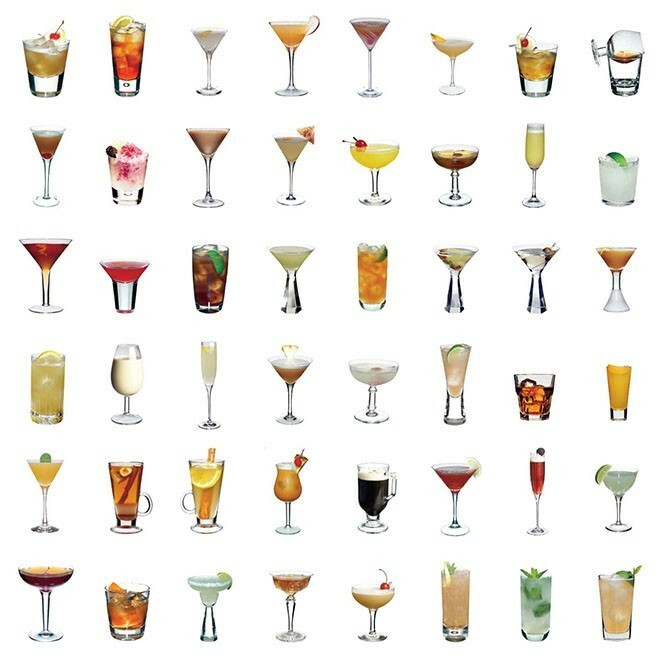 When you go out for cocktails, how do you choose the bar where to go? Personally I will not ask for a cocktail unless the cocktail bar is the best of the best! Which bar is your favourite? Most definitely "The American Bar at The Savoy" I also like The Connaught's ,The Berkley's ,The Dorchester's and The Duke's bars. Have you got any tip for our bartenders? Be a good listener and keep an eye contact with your customers with a big smile at all times. Bartending and bartenders yesterday and today... what has changed? Today's bartenders mix better cocktails but yesterday's bartenders had better personalities. Often we still see you behind the bar or in different activities... what keeps your motivation so high? Every night is going to be a different night, never a dull moment! If you would not be a bartender... who would you be today?